What Instrument Should Your Child Learn? Having a child who is more than willing to learn how to play musical instruments is a blessing to all parents but they can also cause some distress. How can I find money for their music lessons? Will I be able to give my child the support he or she needs? What are the things I need to know about music lessons? What instrument should my kid learn? We know it can be overwhelming to you from the start but here in Montessori Children’s House, first-rate provider of Early Childhood Education in Riverside, California, is going to answer those worries starting from what instrument your child should learn. Does he or she show excitement about the instrument? Is she liking how the instrument sounds and feels? There are some schools that teach music that offers a “petting zoo,” allowing their students to explore multiple instruments before letting them decide which instrument is right for them. Is the instrument excessively challenging for your child? Is it not giving him or her any challenge? Do not only consider your range of learning this instrument. Prioritize your child’s ability to grasp the lessons and play the instrument themselves. 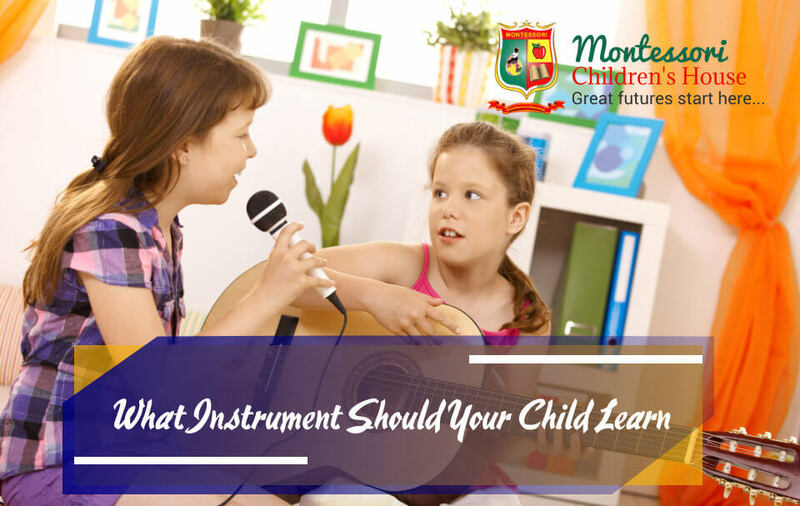 Is there a perfect match between the instrument and the temperament of your child? Each musical instrument can be attributed to the physical traits of the one who plays it. Woodwind players tend to be humorous and social while string players tend to be more eloquent. Of course, those are just basic stereotypes we set orchestral players but think about this when you are choosing an instrument for your child. Can you afford to buy the instrument, including its maintenance? When your child decided he or she wants to play the piano, do not immediately think of buying the grand piano most especially if your house cannot accommodate such. One thing you need to take into consideration is your finances and you can support your child with it. Do you personally like the sound of the instrument your child is playing? Are you willing to listen as your child play it, especially when practicing, in your house for hours? You want to support your child in their endeavors and no parent ever wants to stop their child from discovering things unless it puts their safety at stake, of course. But if you do not enjoy the loud banging of drums inside your house, you need to probably think your child’s choice of an instrument. But if your kid insists the drum is the instrument of their choice, you can take measures like making a soundproof studio in your house or better yet, making your child’s room soundproof. Does your child like the music style that comes along with the instrument? There are many musical instruments for you and your child to choose from. Make the decision together and never discourage your child from learning one.